Jon Peter Lewis (born November 7, 1979, in Lincoln, Nebraska) is an American singer and songwriter, and was one of the finalists on the third season of the reality/talent-search television series American Idol . He was frequently referred to by the judges and Ryan Seacrest as JPL. Lewis later formed a duo titled Midas Whale with a friend Ryan Hayes and appeared on the fourth season of The Voice . The fourth season of the American reality talent show The Voice premiered on March 25, 2013, on NBC and was hosted by Carson Daly, while Christina Milian returned as the social media correspondent. Coaches Adam Levine, CeeLo Green, Christina Aguilera, and Blake Shelton returned, though Green and Aguilera appeared as performers instead of coaches. two new coaches Shakira and Usher then served as replacements coaches for Aguilera and Green. The team sizes were trimmed back down to 12 per team, with each coach having two 'steals' in the Battle Rounds. The Voice is an American singing competition television series broadcast on NBC. It premiered during the spring television cycle on April 26, 2011, and expanded into the fall cycle with the premiere of the third season on September 10, 2012. Based on the original The Voice of Holland, it has aired fifteen seasons and aims to find currently unsigned singing talent contested by aspiring singers, age 13 or over, drawn from public auditions. Thorin II Oakenshield, son of Thráin, son of Thrór, King under the Mountain is a fictional character in J. R. R. Tolkien's 1937 novel The Hobbit. Thorin is the leader of the Company of Dwarves who aim to reclaim the Lonely Mountain from Smaug the dragon. He is the son of Thráin II, grandson of Thrór, and becomes King of Durin's Folk during their exile from Erebor. 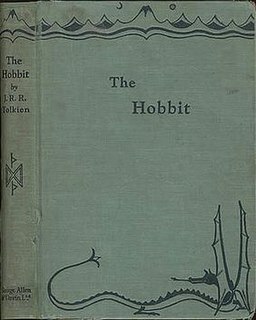 Thorin's background is further elaborated in Appendix A of Tolkien's 1955 novel The Return of the King. The Hobbit, or There and Back Again is a children's fantasy novel by English author J. R. R. Tolkien. It was published on 21 September 1937 to wide critical acclaim, being nominated for the Carnegie Medal and awarded a prize from the New York Herald Tribune for best juvenile fiction. The book remains popular and is recognized as a classic in children's literature. At the age of 23, Lewis cashed in his college loans to audition for the third season of American Idol in Honolulu, Hawaii where he sang '"Crazy Love" by Van Morrison. Praised by Simon Cowell for his "very, very good voice," Lewis went on to display an uninhibited stage personality that won the hearts of millions of Idol fans. Simon Cowell later hailed Jon as "the dark horse to win the competition," and Rolling Stone magazine pegged Jon as a "pick to win," while Elton John praised Lewis's voice for his "excellent pitch and phrasing." "Crazy Love" is a romantic ballad written by Northern Irish singer-songwriter Van Morrison and included on his 1970 album, Moondance. The song was originally released as the B-side to "Come Running" in May 1970 before it was released as a single in the Netherlands, "Come Running" as the B-side. The cover of the single shows Morrison with his then-wife, Janet "Planet" Rigsbee. The photograph was taken by Elliot Landy, the official photographer of the 1969 Woodstock festival. Sir George Ivan MorrisonOBE, better known as Van Morrison, is a Northern Irish singer-songwriter, instrumentalist and record producer. His professional career began as a teenager in the late 1950s playing a variety of instruments including guitar, harmonica, keyboards and saxophone for various Irish showbands, covering the popular hits of that time. Van Morrison rose to prominence in the mid-1960s as the lead singer of the Northern Irish R&B band Them, with whom he recorded the garage band classic "Gloria". His solo career began under the pop-hit oriented guidance of Bert Berns with the release of the hit single "Brown Eyed Girl" in 1967. After Berns's death, Warner Bros. Records bought out his contract and allowed him three sessions to record Astral Weeks (1968). Though this album gradually garnered high praise, it was initially a poor seller. Simon Phillip Cowell is an English television music and talent competition judge, businessman, A&R executive, talent manager, and television producer. He has judged on the British TV talent competition series Pop Idol, The X Factor and Britain's Got Talent, and the American TV talent competition shows American Idol, The X Factor and America's Got Talent. 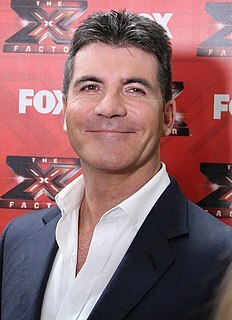 Cowell is the principal, founder and chief executive of the British entertainment company Syco. Affectionately known as 'JPL' by his fans, Lewis was a member of the third group of semifinalists and performed the Elton John song "Tiny Dancer". After performing "A Little Less Conversation" in the wild card round, Lewis was put through as a finalist by audience vote, receiving 22% of all votes cast. 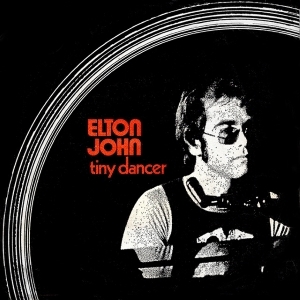 "Tiny Dancer" is a song by Elton John with lyrics by Bernie Taupin. It appears on John's fourth album, Madman Across the Water, and was released as a single in 1972. In the U.S. it was certified Gold on 19 May 2005, and Platinum on 19 August 2011, and 3x Platinum on 26 April 2018 by the Recording Industry Association of America. In the UK, "Tiny Dancer" has been certified Gold on 17 August 2018 by the British Phonographic Industry (BPI) for sales of 400,000 copies, despite never being released as an official single. Back-up vocals are provided by Tony Burrows. The song was popularized after being featured in the 2000 film Almost Famous. "A Little Less Conversation" is a 1968 song recorded by Elvis Presley written by Mac Davis and Billy Strange and published by Gladys Music, Inc., originally performed in the 1968 film Live a Little, Love a Little. The song became a minor hit in the United States when released as a single with "Almost in Love" as the A-side. A 2002 remix by Junkie XL of a later re-recording of the song by Presley became a worldwide hit, topping the singles charts in nine countries and was awarded certifications in ten countries by 2003. On April 15, 2004, Lewis was voted off in eighth place after a flashy rendition of "Jailhouse Rock" during movie songs week. During the competition, he had displayed a three-octave vocal range and developed a strong fan following. As part of the Top 10, Lewis participated in the 50-city American Idols Live tour in the summer of 2004. Rather than accepting business offers to use his Idol fame to release a quick pop album, Lewis decided to work on his own musical style and create original music. From late 2004 to 2006, Lewis spent the majority of his time composing original music working closely with music producer Alex Gibson of Henson Recording Studios, among other notable entities in Hollywood. "Turn to Grey" was among the first songs that he wrote; he composed it while on tour with the Idol finalists. Jon recorded part of the song as a homage to Jennifer Hudson after she told him that she loved singing the song around her house. Lewis' second full-length album, Break the Silence, debuted July 22, 2008. The album was released through Cockaroo Entertainment in conjunction with Adrenaline Music Group. Chris Garcia, who has worked with Santana and Michelle Branch, Dido and Jewel, produced the album under the guidance of executive producer Don Grierson, a former head of A&R for Capitol and Epic Records. Lewis wrote or co-wrote several tracks for the album, featuring musicians such as guitarist Nick Lashley, drummer Kenny Aronoff and Blake Mills. The CD has received critical praise including a "Critic's Choice" review from Billboard magazine. [ citation needed ] It was called "one of the best pop/rock CD's of the year" by Monica Rizzo of People magazine[ citation needed ] and "impressive" by Ken Barnes of USA Today . [ citation needed ] The title track single hit the top 30 charts on Hot AC radio and in November 2008 was one of only fifty songs pre-programmed into all of the new iPhones on display at Apple Stores and AT&T stores across the country. [ citation needed ] Lewis went on to release a self-titled EP in February 2010. In 2013, Jon Peter Lewis and Ryan Hayes auditioned for the fourth season of The Voice as duo Midas Whale. In their audition, which broadcast on March 26, 2013, they performed the Johnny Cash song "Folsom Prison Blues." All four judges pressed their "I Want You" button and turned their chairs. Lewis and Hayes chose to join Adam Levine's team. They were eliminated in the knockout rounds. "To Make You Feel My Love"
"If You Don't Mean It"
"A Good Wind (Get a-Going)"
2004: "Turn to Grey" download single. Blues-funk. 2005: "Stories from Hollywood" download single. Alternative rock. 2004: "My Girl" in American Idol Season 3: Greatest Soul Classics ". Christopher Ruben Studdard is an American R&B, pop and gospel singer and actor. He rose to fame as winner of the second season of American Idol and received a Grammy Award nomination in 2003 for Best Male R&B Vocal Performance for his recording of "Superstar". In the years following Idol, Studdard has released seven studio albums, including his platinum-selling debut, Soulful, and the top-selling gospel follow-up, I Need an Angel. He is most well known for his recording career, which has produced hits including "Flying Without Wings", "Sorry 2004", and "Change Me", but he has also segued into television and stage work. Most notably, he starred as Fats Waller in a national tour revival of Ain't Misbehavin', which spawned a Grammy-nominated soundtrack. Vonzell Monique Solomon, nicknamed Baby V, is an American singer and aspiring actress who finished in third place in the fourth season of the televised singing competition American Idol. She also appeared in the independent movie Still Green. "Walking in the Air" is a song written by Howard Blake for the 1982 animated film of Raymond Briggs' 1978 children's book The Snowman. The song forms the centrepiece of The Snowman, which has become a seasonal favourite on British and Finnish television. The story relates the fleeting adventures of a young boy and a snowman who has come to life. In the second part of the story, the boy and the snowman fly to the North Pole. "Walking in the Air" is the theme for the journey. They attend a party of snowmen, at which the boy seems to be the only human until they meet Father Christmas with his reindeer, and the boy is given a scarf with a snowman pattern. In the film, the song was performed by St Paul's Cathedral choirboy Peter Auty, and reissued in 1985 and 1987. "All Mixed Up" is a single released by 311. It was on the album 311, also known as The Blue Album. This album was released in 1995 and later went triple platinum, selling over 3 million copies worldwide. The song was co-written by Douglas Vincent "SA" Martinez and Nick Hexum. The duo first started working on the song during the 311 tour supporting Grassroots. After the tour Martinez wrote the lyrics about feeling "confused and being unfaithful" and Hexum took the song's title from an early Elvis Presley interview in which Elvis claimed he was "all mixed up" over his new-found fame. Paris Ana'is Bennett is an American Entertainer and a former top 5 finalists on the fifth season of the reality television talent show, American Idol. Paris has recently released an original holiday song titled “All I Need For Christmas” [https://itunes.apple.com/us/album/all-i-need-for-christmas-single/1441347743] which is available on all digital outlets. Christopher Adam Daughtry is an American singer, songwriter and actor. He is known as the lead vocalist and rhythm guitarist for the rock band Daughtry and as the fourth-place contestant on the fifth season of American Idol. After his elimination from Idol, he was given a record deal by RCA Records and formed a band called Daughtry. Their self-titled debut album became the fastest selling debut rock album in Nielsen SoundScan history, selling more than one million copies after just five weeks of release. The album was recorded before the band was officially formed, making Chris Daughtry the only official member present on the album. Mandisa Lynn Hundley, known professionally as Mandisa, is an American gospel and contemporary Christian recording artist. Her career began as a contestant in the fifth season of American Idol, in which she finished in ninth place. She is the fifth American Idol alumna to win a Grammy Award for her album Overcomer in the Best Contemporary Christian Music Album. The studio albums in the American Idol compilation series are compilations of songs by American Idol contestants normally released every year towards the end of the season or after the season has ended. For the first five seasons, the albums consist of cover songs from all the finalists of the season, and is released as CDs before the last episode by RCA Records. After season 5, such compilations were released only sporadically. Compilations for individual contestants were released digitally starting season 6. No compilations were released in season 7. Bianca Taylor Ryan is an American singer-songwriter, musician and actress from Philadelphia, Pennsylvania. Ryan was the first winner of NBC's America's Got Talent at the age of eleven. She auditioned for Talent in 2006 and amazed the judges with her big voice. Singing two Broadway show tunes along the way, Ryan was announced as the winner of season one on August 17. Her self-titled first album was released later in 2006, followed by two Christmas albums. Two singles followed in 2007 and 2010. 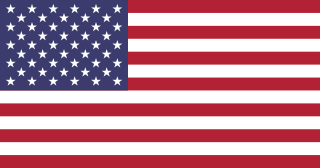 This is a comprehensive listing of official post-Idol releases by various contestants of the television show American Idol. Christopher Michael Richardson is an American singer-songwriter who was the fifth-place finalist on the sixth season of American Idol. "Grown-Up Christmas List" is a Christmas song composed by David Foster (music) and Linda Thompson-Jenner (lyrics). It was originally recorded by Foster, with Natalie Cole on vocals, for his 1990 non-holiday album River of Love. Though it was also released as a single, the song was not a hit upon its first appearance. In 1992, Amy Grant recorded a version for her second Christmas album, Home for Christmas. Grant's version featured an additional verse that Grant penned herself. Her record label at the time, A&M Records, promoted the song as the second single from the album, and it received substantial radio airplay. David James Archuleta is an American singer-songwriter and actor. At ten years old, he won the children's division of the Utah Talent Competition leading to other television singing appearances. When he was twelve years old, Archuleta became the Junior Vocal Champion on "Star Search 2". In 2008 he finished second on the seventh season of "American Idol". Kristopher Neil Allen is an American singer and songwriter from Conway, Arkansas, and the winner of the eighth season of American Idol. 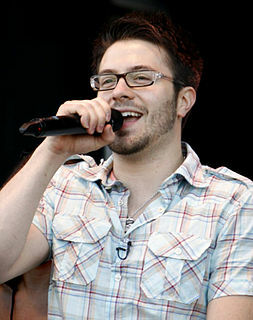 Daniel Jay Gokey is an American singer and former church music director from Milwaukee, Wisconsin. He was the third-place finalist on the eighth season of American Idol. After his placing on the show, Gokey signed to 19 Recordings and RCA Nashville at the beginning of a career in country music, releasing the single "My Best Days Are Ahead of Me". His debut album, My Best Days, was released in March 2010. Scott Douglas MacIntyre is an American singer, songwriter, and pianist, and the eighth place finalist on the eighth season of American Idol. MacIntyre is visually impaired, and while not completely blind, he suffers from tunnel vision and has only a two-percent field of vision, both due to Leber's congenital amaurosis. American Idols Live! Tour 2004 was a summer concert tour featuring the Top 10 contestants of the third season of American Idol, which aired in 2004. The tour was sponsored by Kellogg's Pop-Tarts. It was the third in the series the American Idols Tour. Pentatonix is an American a cappella group from Arlington, Texas, consisting of vocalists Scott Hoying, Mitch Grassi, Kirstin Maldonado, Kevin Olusola, and Matt Sallee. Characterized by their pop-style arrangements with vocal harmonies, basslines, riffing, percussion, and beatboxing, they produce cover versions of modern pop works or Christmas songs, sometimes in the form of medleys, along with original material. Pentatonix formed in 2011 and subsequently won the third season of NBC's The Sing-Off, receiving $200,000 and a recording contract with Sony Music. When Sony's Epic Records dropped the group after The Sing-Off, the group formed its YouTube channel, distributing its music through Madison Gate Records, a label owned by Sony Pictures. Their YouTube channel currently has over 16 million subscribers and 3.7 billion views. The group's video tribute to Daft Punk had received over 300 million views as of January 2019. Caleb Perry Johnson is an American singer who won the thirteenth season of American Idol. ↑ Myers, Jared (2011). Your All-Access Pass to American Idol. Cedar Fort. p. 31. ISBN 9781462100194. ↑ Petersen, Sarah (April 24, 2013). "4 Mormon contestants advance on 'The Voice'". Deseret News. Retrieved December 23, 2013. ↑ Landeen, Chanae (December 5, 2009). "'American Idol' changed Jon Peter Lewis". Deseret News. Retrieved December 23, 2013. ↑ Rushfield, Richard (2011). American Idol: The Untold Story. Hyperion. p. 254. ↑ Lyndsey Parker (3 March 2013). "'Voice' Folkies Midas Whale Talk Rock Operas, 'Idol' Origins, and Being "Baked"". Yahoo Music. ↑ "Midas Whale Album: by Jon Peter Lewis". Kickstarter. ↑ Lyndsey Parker (March 27, 2013). "'The Voice' Season 4, Episode 2: The Pen Salesman Of 'Idol' Returns!". Yahoo Music. ↑ Amabile, Michele (March 28, 2013). "American Idol Alum Jon Peter Lewis Advances on 'The Voice'; Hails Show's 'Nurturing' Nature". The Hollywood Reporter. Retrieved March 29, 2013. ↑ "Midas Whale of The Voice Release Debut Album". PRWeb. February 11, 2014. ↑ Fred Bronson (February 26, 2014). "How a 'Voice' Mic Failure Gave 'Idol' Alum Jon Peter Lewis a Second Chance at Music (Video)". The Hollywood Reporter. Website of Singer/Songwriter Jon Peter Lewis at jonpeterlewis.com.